CeDe Group has a good reputation in Scandinavia as a low-volume adaptor of construction and mining machinery for special applications. CeDe Group has a good reputation in Scandinavia as a low-volume adaptor of construction and mining machinery for special applications. Working for several leading OEMs, including Volvo CE and its dealers, adaptations include developing new bodies for haulers (e.g. fuel, water, waste), rail conversions for wheeled excavators, as well as conversions for underground mining applications and more. Under Volvo CE ownership, the vision is that CeDe will remain an agile, entrepreneurial, standalone business. Volvo CE will make available its considerable competences to the company and add additional resources to allow it to expand its market reach and customer bases, becoming a European leader in this specialized field. A strenghtened partner will also support Volvo CE's objectives of expanding its product offering into new segments and applications, as well as providing a partner who can deliver low volume prototypes and production runs.The company will continue to provide and expand its engineering services to non-Volvo CE customers. 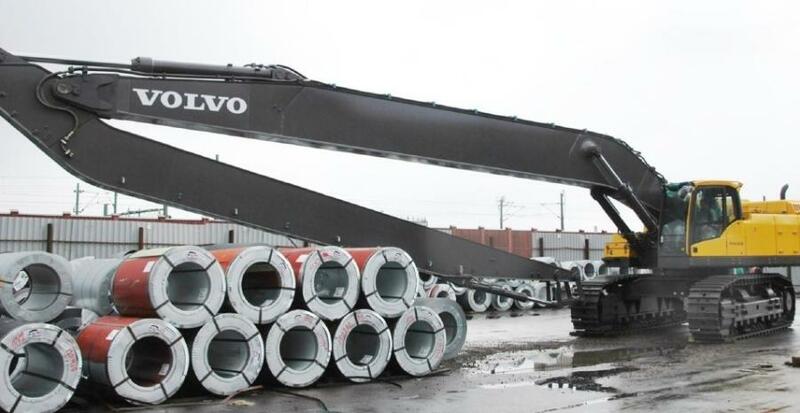 "This acquisition makes sense on a number of strategic levels," said Volvo CE President Melker Jernberg. "CeDe has already proven that it has a depth of engineering talent in adapting our machines for specialized applications. This closer relationship will allow Volvo CE to grow our product offerings while at the same time boosting CeDe's ability to expand into new markets and segments, both with Volvo CE and its other OEM customers." CeDe Group's Chief Executive Krister Johnsson said, "We are extremely pleased to be joining the Volvo CE family of companies. With our already long and good relationship with Volvo CE and deep understanding of its products, we are excited at the opportunities to develop our services and expand our reach into new markets."